The Latchford II is an impressive five bedroom detached family home with double garage. The ground floor offers an elegant lounge with feature bay window, spacious open-plan kitchen with Neff appliances, dining and family room. A practical utility off the kitchen and wc cloakroom off the hall complete the ground floor. There are five well appointed bedrooms to the first floor and a beautifully finished fully tiled modern bathroom with separate thermostatic shower with Villeroy Boch fittings. Two of the bedrooms also have private en suite facilities. In addition to the double garage that has power and lighting, the driveway provides for off-road parking. ~~MEASUREMENTS All measurements quoted are approximate. The agent has not had sight of confirmation documents and therefore the buyer is advised to obtain verification from their solicitor or surveyor. INTERNAL PHOTOGRAPHS. Photographs are reproduced for general information and it cannot be inferred that any item shown is included in the sale. FIXTURES, FITTINGS & APPLIANCES. The Fixtures, Fittings and Appliances have not been tested and therefore no guarantee can be given that they are in good working order. GENERAL DISCLAIMER Every care has been taken with the preparation of these Sales Particulars, but complete accuracy cannot be guaranteed. Buyers should in all cases verify matters for themselves. Where property alterations have been made the buyers should check that relevant permissions have been obtained. If there is any point, which is of particular importance let us know and we will verify for you. These Particulars do not constitute as part of a contract. 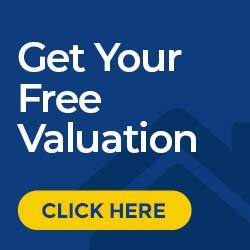 MARKET APPRAISAL Borron Shaw Estate agents offer a free, with no obligation, market appraisal on your home. 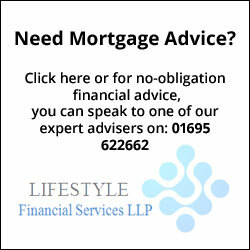 Should you wish to know the value of your home then please do not hesitate to contact any of our local offices.